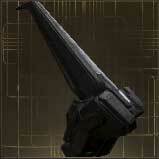 Amps are weapons that only the Operator can wield. 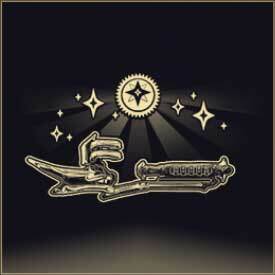 Operator mode is unlocked after completion of The Second Dream quest. 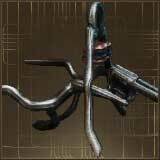 They are primarily used for taking down Eidolon shields on the Plains of Eidolon and resetting the resistances of Sentients and the Stalker. Their use outside of this is fairly limited as Operators are too squishy outside of Void mode and Amp damage doesn't scale well enough to take down high level enemies. 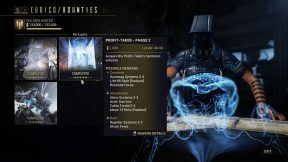 Since the primary use-case for Amps is taking down Eidolon shields (which are immune to all other types of damage), this guide will prioritize recommending Amp builds that perform well at Eidolons. 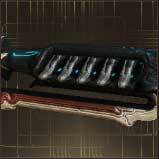 Outside of Eidolons, a wide variety of Amps are sufficient for low to mid level content. All amps are constructed from three components: The Prism, the Scaffold and the Brace. Prisms determine the primary fire of the amp while the Scaffolds determine the secondary fire. 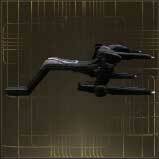 These options can vary from single target beams to explosive AoE grenades. Braces affect amp characteristics such as critical chance, status chance, recharge rate and recharge delay. 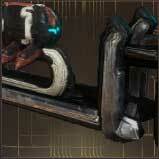 All amps consume their own "energy" bar instead of consuming ammo, so recharge stats affect the regeneration of this energy bar. A fine-cut pavilion married to a shutter-governor allows for rapid-yet-economical fire. Gilding an amp increases its stats to their "true" values. First you'll need to increase the rank of the Amp to level 30. Once you've done this, you can go to either Onkko in Cetus or Little Duck in Fortuna to gild it once you reach the 3rd title in either Syndicate. This resets the rank back to 0 and you'll have to re-level it to max. 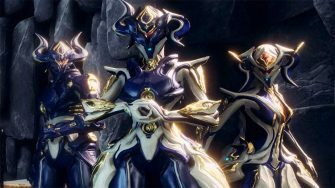 There was a bug that caused issues with damaging Eidolons when gilding amps with Cetus parts at Little Duck. We don't know if this bug is fixed yet, so be cautious of gilding your amp at Little Duck. It's worth noting that only gilded amps award Mastery XP for leveling up. 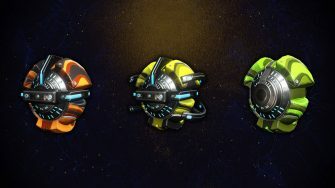 Amps, like most modular items, only provide Mastery XP based on the first component used to build them. In this case, that's the Prism meaning you can obtain a total of 24,000 Mastery XP if you max an amp for each of the 7 Prisms that are currently available along with the starter Mote Amp. Before we recommend the best build, let's quickly cover Amp nomenclature to avoid confusion. 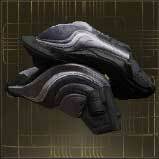 Amps are named / referred to by players based on their Prism, Scaffold and Brace. 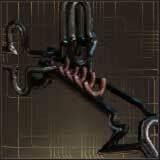 For example, a "1-2-1" or "121" Amp is comprised of a Tier 1 Prism, Tier 2 Scaffold and a Tier 1 Brace. Tiers are determined based on how soon the Amp part is unlocked in the Quills / Vox Solaris syndicates. To make your life easier, we included the relevant number for each Amp part in the list of parts we provided above. 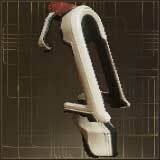 The Fortuna amp parts are named based on one of two methodologies: Either 5 through 7 or F1 through F3. 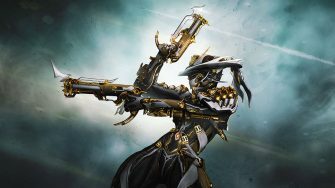 For example, "5-4-6" is comprised of the Tier 1 Prism from Fortuna, Tier 4 Scaffold from Cetus and Tier 2 Brace from Fortuna. This can be a little confusing, so we prefer saying "F1-4-F2" instead. If you ever feel lost with what the names mean, simply refer back to the parts list above which shows both methods of naming each amp part. 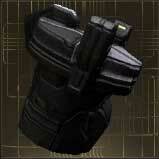 As we mentioned before, the primary purpose of Amps is to damage Eidolon shields. 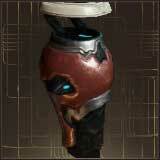 As such, the best amp to build will generally be the amp that does the highest DPS to the Eidolons. If your goal is to use the Amp in normal missions, we recommend trying the Propa Scaffold as it is a decent CC damage ability that scales to approximately level 30 - 40 normal enemies. 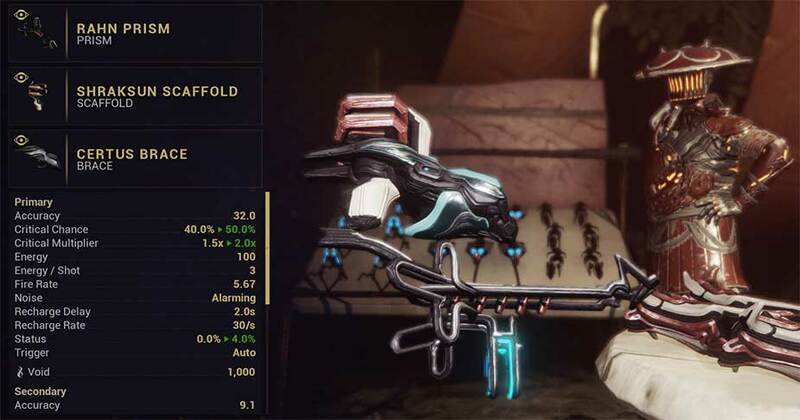 Eidolons aren't affected by status effects which means the highest priority for the Brace is either high energy efficiency or high critical chance. Most players agree that critical chance is superior, leading to the Lohrin Brace (3) brace being the most common option for a long time. 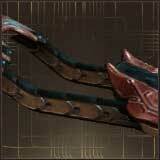 However, Fortuna brought along a Brace with even higher critical chance: Certus (F3). We recommend using Certus for almost any Amp build regardless of your goal. 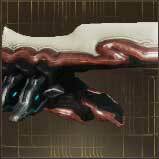 Since the Prism and Scaffold affect the fire modes of the Amp, one of the two will always be superior for taking down the Eidolon shields. In this case, the Shraksun Scaffold is by far the best option for taking down Eidolon shields thanks to its innate punchthrough allowing for multiple, high damage hits. 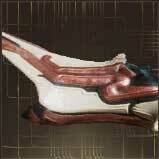 As a result, you'll only need to use the alt-fire at Eidolons so the choice of Prism is completely optionable. 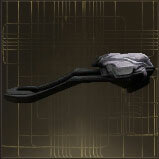 We suggest trying the Rahn Prism (4) as it is a solid option for changing the shield vulnerability of the Profit Taker. Feel free to choose whichever Prism suits you best. 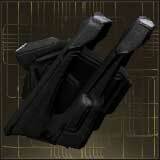 Amps are weapons the Operator wield. 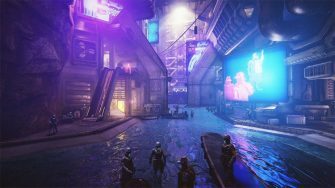 In general, they are considered relatively weak compared to the plethora of Primary, Secondary and Melee weapons available to the player. 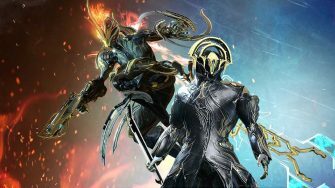 Furthermore, Warframe abilities are overwhelmingly powerful meaning there is almost no reason to use the Operator mode for extended periods of time. 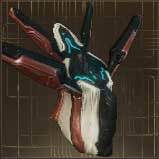 However, Amps play a key role in the Eidolon fights as they are the only type of weapon that can bring down their shields. For now, their use is mostly limited to this. 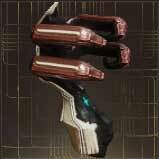 This might change in the future, but for now we encourage you to focus your Amp builds based on the Eidolon fights. 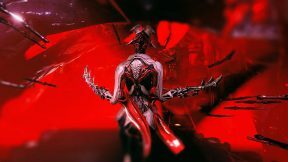 Feel free to share your thoughts in the comments below on the best Amp builds and how you like to take on the Eidolons. Hi! Great info. 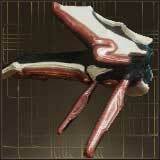 I’ve been running around with a 1-1-1 for the longest time, and generally avoided eidolon hunting because of it. Thanks for giving me an idea of what I need for my next upgrade. for AnonKyle : for eidolon hunting, you need max crit damage, which leads to at least xx3 (cetus) or xx7 (fortuna), then the choice of your weapons itself is as you wish, depends of what you like but usually it’s well known that x2x (cetus) is the best, even if i personnaly dont like the way it shoots (short range). So, if you just start in amps, make a cetus one who looks like x23, where the x is at your choice (for example choose a prism for easy vomvalyst kills, or the one which best suits your playstyle). 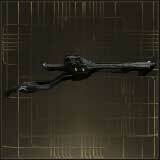 NB for hunting : you realy should find friends to hunt, you ll learn faster the mechanisms and strats. Thank you for the information, I didn’t know anything about AMP’s in general, I still don’t know if I like Eidolon hunting in general, so I have only used the Mote amp. Is there an easy to craft amp that is overall decent? 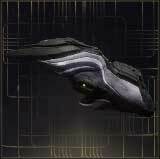 And also, if you could write where to get the relics for the recent Frost and Ember Prime unvaulting, that would be awesome, thanks once again!